Thought I’d head out to where the grass grows long. To get away from the constant hum. If only for a while. I sat amongst the silence, camera muted and the world on hold. This has become my place, when the normality of Sundays routine is too routine. It’ll be there on my return, but for now it’s a memory. I pass farmland where the cattle graze, uninterested in my footsteps. Their fate already decided, of which I’m glad they’re unaware. I can feel the muscles in my legs at full stretch a burn from the gradient. It’s here that the view opens up. 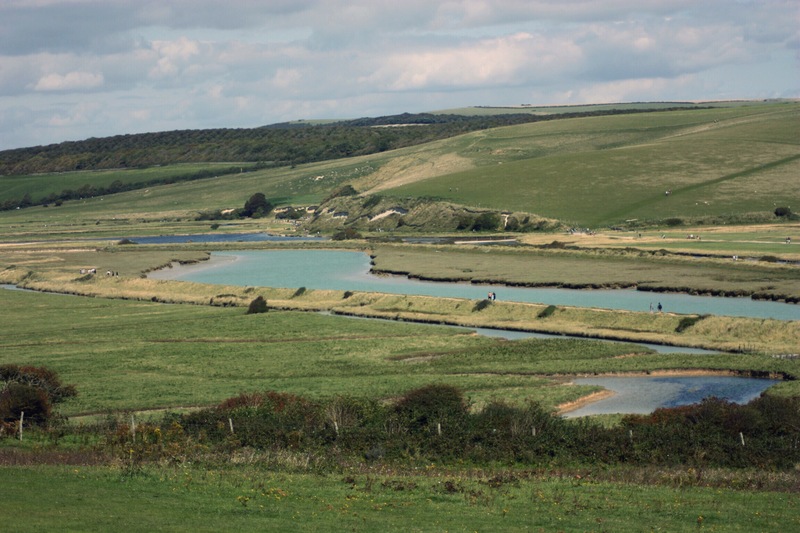 Of grassland and cliff tops. I deviate from the route. I’ve found a path less trodden where can lay my blanket without obstruction. I take my notebook and write, of the things I’ve passed. I drink coffee and read for a while surrounded by birdsong and contentment. Fleeting thoughts of the chaos we inflict on one-another. The very reasons I need to escape just once in a while, for perspective. I’m on a hillside, secluded by hedgerows and trees that canopy the route, canopies abundant with berries now. I hope I can sit here throughout the seasons, I hope I can watch autumn turn to winter and write of deepest reds and icicles. The weather forecast says rain later, it’s around six miles back to my starting point. I dry my cup and roll up my blanket. The rucksack now one cup of coffee lighter. 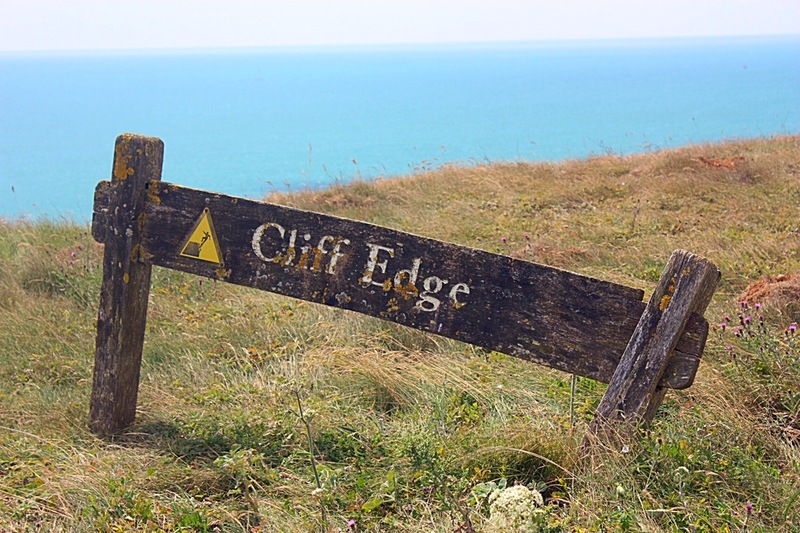 It’s a short walk down to the cliff edge. 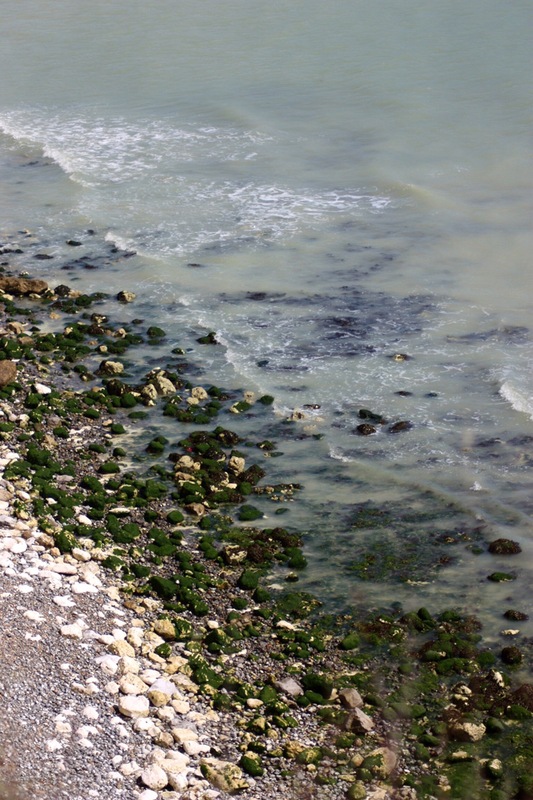 Chalk lies on the beaches below, the sea acts like an eraser here. I’m drawn to the edge, I can’t call it magnetism, it’s just a desire to look. I’ve heard some people say “imagine falling”, but I never imagine that. It’s breathtaking and naturally beautiful. I want to be here when the winter tides lash against this shore. The cliffs look different when lit with watery sunlight, like whites washed in an inferior detergent. The cottages come into view here. A thread of hope that ran through ‘Atonement’ a dream sequence ignited by a picture on a postcard. That one thing that keeps us all going. The erosion here is extensive, but people are fighting to save this shoreline. Ropes stop you from reaching certain areas at this point and although they are minimal in their restrictive properties I avoid the temptation to limbo. To the left of me The Meanders flow. To the right the steep shingled beach. Light rain has started to fall, but it’s not persistent yet. I take the riverbank walk. Stepping over the tank defences, remnants of WW2 are scattered along these coastal paths. The water here is stagnant green. The wind has strengthened and I can hear the waves lapping against the shingle behind me, but it fades to a whisper as I turn onto the riverside path. I have no phone signal throughout this walk, another reason why it feels like actual escapism. Pastimes are lost to social media, that need to instantly share every step with a photo. How much is lost through that disconnection, having to drag someone back into a moment is a moment lost. I stop for a coffee at one of the makeshift benches that are scattered along the path. Dragonflies skim the water before darting off so sharply that they almost become invisible. A small murmuration of starlings swoop overhead then gather in nearby trees. I adore the sounds they make. Sneezing, whooping and that cackling sound. Beautiful birds with their oily sheen. My notebook is damp from the random drops of rain. I feel detached here, like that bigger picture that I’m a part of is just a weight put upon my shoulders to keep me in line. It’s a great feeling to leave that load behind. The restraints of four walls where the TV rules is someone else’s breathing space, not mine. The river widens and the water no longer stagnant. Gulls float on its current, their chatter constant. 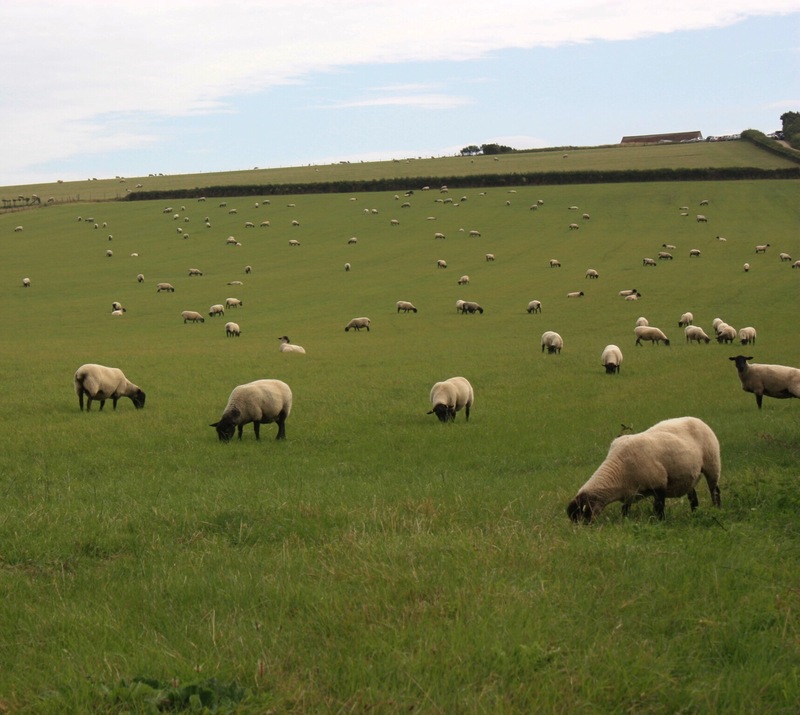 Sheep grazing on the grassland between inspecting me with a nervous glance and understandably so. Their young taken from them months ago. I wonder how they feel. Humanity is a cruel master, such a disregard for life as they search for utopia. Greed, fame, hero worship. The downfalls of the idiot flock. If my time were to end here I’d be ok with that. Out here close to the very thing that I’ve grown to respect more than any other. The clouds are gathering. 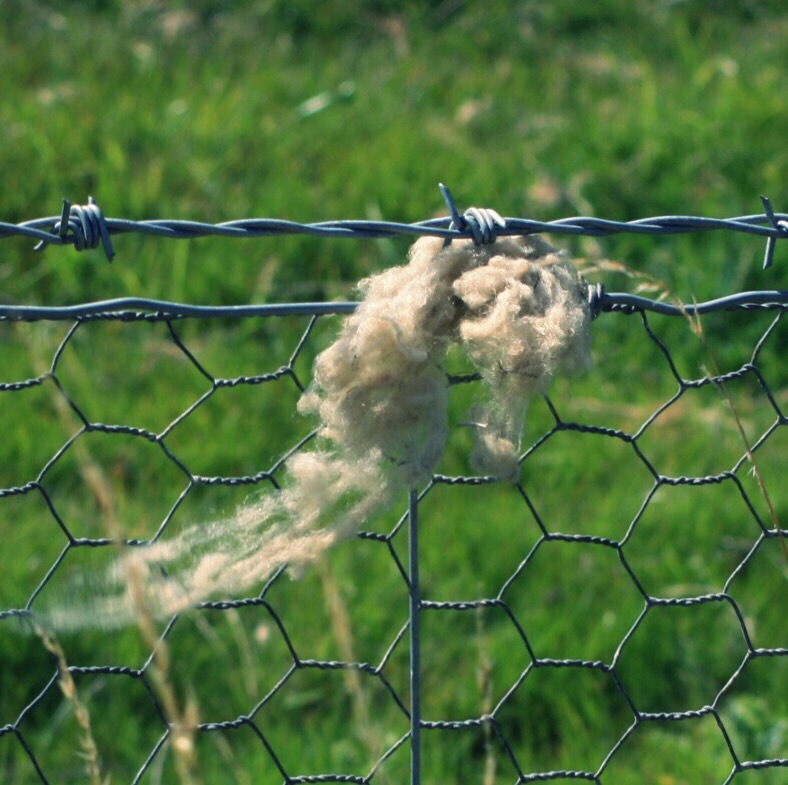 I pass a clump of wool caught on a barbed wire fence. It’s rough to the touch, but that’s natures design….to protect against the elements. I’ve swam in these waters. It’s not the most graceful experience, in parts it’s more wading than swimming nonetheless I can’t wait to swim here again. At sunset there’s a tranquility that swathes this place like a protective film of amber. My back is wet with drizzle being driven by the wind, but it’s the final path of my walk. I take a left through a gate and leave the riverbank’s reflection. It’s mostly uphill now, past more cattle adorned with numbered ear tags and sheep sprayed with colours and I can’t help but contemplate their suffering again and again. My emotions are justified in my head and they won’t ever change. I pass the hayloft. It makes me smile, I imagine clandestine meetings on windswept evenings here. The fumbling of fingertips on buttons, lips so hungry that only the most urgent of kisses could satisfy. The remainder of the walk is on the roadside. I put my notebook in my rucksack and head towards the hum.